The U.Porto is a vibrant space where the talent and ideas of our students, teachers and researchers come together to enrich community life – within and beyond the campus. To inspire the creative spirit, the U.Porto has an agenda with regular exhibitions, conferences, concerts, performances and workshops, among other cultural manifestations, open to all trends and audiences and which are produced by the U.Porto itself or in collaboration with other cultural agents of the city. At a central level (Rectorate), the U.Porto develops a programme of activities targeted at the academic community as well as the general public. Most of these events are staged at the Historic Building of the U.Porto, which has been establishing itself as a cultural space of reference in the city. Our schools and research centres also develop their own cultural programmes, which are open to the community. The same is true for the events organised in collaboration with other leading institutions of the city, such as Casa da Música, Fundação de Serralves, Museu Nacional Soares dos Reis or Câmara Municipal do Porto. But the cultural programme of the U.Porto would not be complete without the contribution and dedication of several bodies managed by students and former students. 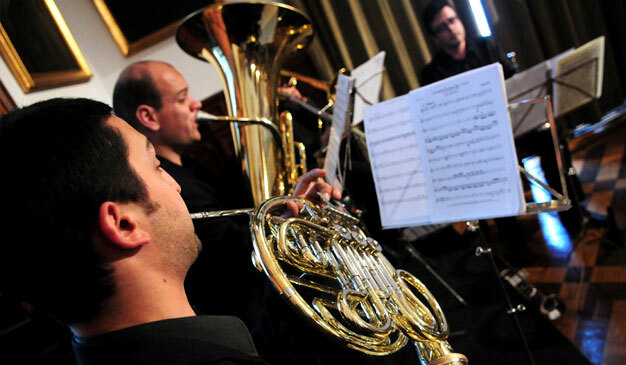 These include the concerts of the centenarian Porto University Choral Society – Orfeão Universitário do Porto and the plays of the Porto University Theatre Group – Teatro Universitário do Porto, whose artistic activity is internationally recognised, as well as the work developed by student associations and other academic and cultural groups in areas as diverse as the theatre, music, dance and cinema.